We had such a wonderful time with everyone downtown Houston playing in and around Hermann park. It was a cool Spring day with the flowers just beginning to bloom kicking off our first official Spring engagement session here at JIP. We love this time of year! It isn’t hot and everything is pretty which is a win win. Hermann Park is the prettiest at this time as you will see below. Aren’t these two too cute! Engagement photos with flowers in the background are finally here!!! 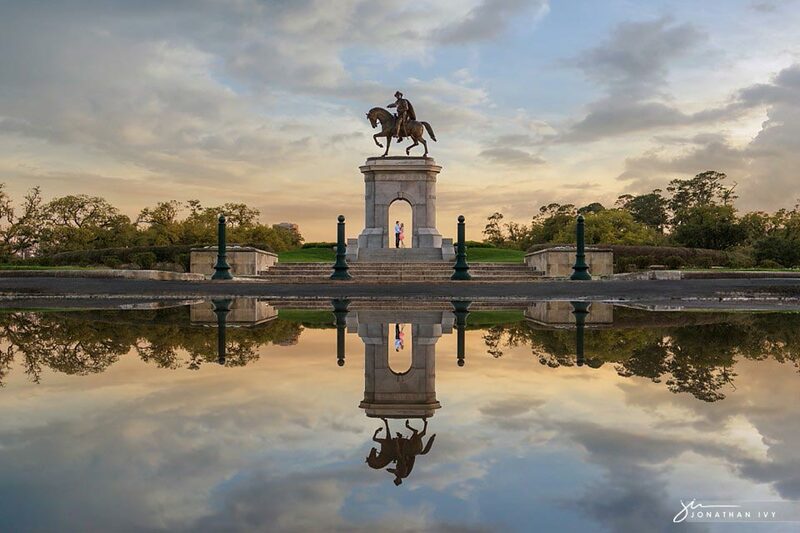 Yes, Hermann Park can be this beautiful when you work with Jonathan Ivy Photo!